Chinese New Year, or the Spring Festival, is a great time to celebrate the beauty of spring and starting fresh. If you’re not accustomed to celebrating the holiday, then you might not know how to help children get the most out of the activity. At a glance, the Spring Festival might be another holiday that is going to set your budget back. However, you can celebrate this holiday without spending a fortune. You can even embrace the traditions that won’t cost you to spend money. These ten ideas will help you make your Chinese New Year outstanding in a pinch, so you can truly enjoy the good fortune that you have coming your way in the new season. In many Chinese New Year celebrations, you can see dragons dancing in the streets. This can be incredibly exciting for children and might be one of the most memorable aspects of the holiday. You don’t have to go out and spend a lot of money on a dragon puppet to celebrate this element of the event though. Instead, kids might have a blast making their own dragon from supplies you probably already have lying around the home. You can start your puppet out with a paper plate face and add a popsicle stick to make it easy to sport in a parade. There are also more intricate tutorials online that can help you make your dragon even more realistic. If you want to go one step further, you can staple or sew dragon details to your child’s hoodie, so they can dance and pretend to be a dragon in your own personal parade. Paper lanterns can also be a magical aspect of the holiday that children can easily take part in. Paper lanterns will help create a great atmosphere in your home too, which will allow you to embrace the holiday even more. There are lots of great tutorials for paper lanterns, so pick and choose those that cater to your needs. Most of these lanterns can be made out of paper you’ll already have in your craft supplies or papers that aren’t pricey to purchase in bulk at craft stores. Once you have your lanterns up then hang them up as décor. You can also place digital candles in them for a safe option that kids will enjoy. Your children might be so fond of their lanterns that they’ll want to keep them out all year long. Part of the holiday is the introduction of a new Chinese zodiac. 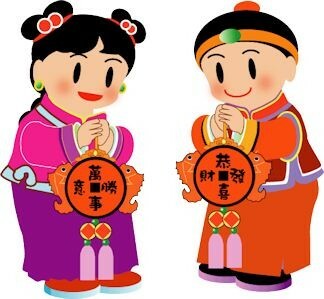 Thus, the festival is the perfect time to teach children all about the Chinese zodiac and the story behind it. 2019 is the year of the pig, so you might start there. Children will enjoy learning the qualities of the pig and so on. However, many children will want to know more about their own personal zodiac. There are many charts available, so you can learn more about everyone in the family. You can even check out the element of your personal zodiac. If kids are still interested after the initial learning experience then you can open them up to crafts or even stories about the zodiacs to help broaden their interest. Since 2019 belongs to the pig, you might want to enjoy some pig crafts. Generally, during the celebration, many people enjoy decorating their home in the animal of the year. Thus, crafts can truly come in handy during this long holiday. There are so many pig crafts to choose from, but you can make many of them from items you have around the house. For instance, toilet rolls can easily be painted pink and paper ears, snouts and tails can be glued to them for a fun look that can hold napkins or can be hung from the ceiling for decor. You can also make a pig mask from a paper plate. The craft ideas are endless, so check out some tutorials online to find the perfect options for the age groups and interests in your household. Kids love to make noise and this holiday definitely calls for some noise makers. So, one of your best options is to make a Chinese drum. This can be made from items found around the house, so you won’t have to spend any money here. The craft is also incredibly simple so it works for all age groups and will provide hours of fun. All you really need for this craft is some dried beans, paper plates, disposable chopsticks, markers and glue. To begin with, have the kids color their paper plates to suit the occasion. Red and yellow are the typical colors used during this holiday; however, children might also enjoy using the zodiac of the year or their own zodiac. When the paper plates are ready, glue one chopstick to the bottom of one plate. Then place your beans on this plate. Once you’ve completed this, glue the two plates together. Make sure there are no openings or else the drum won’t work. When everything is dry, the kids can perform their own music and dances. One of the traditions of Chinese New Year is to clean up the home before the new year arrives. This is said to bring luck to you in the upcoming year. Children can easily embrace this aspect of the holiday, even if they aren’t too happy about it. The best thing about tidying up is it can also help save you some money and may even earn you money if you choose to have a garage sale. Tidying is currently a trend as well, so you can easily pick up some awesome tips from many television programs and books. This might help improve the quality of your life in the future, which is bound to make you feel better. With a more positive outlook, there is no telling the great heights that the new year will take you. It is amazing to think that tidying up the home can do so much for the whole family. Of course, teaching children to be tidy from an early age can also provide them with essential tips that will stick with them into adulthood. The Spring Festival is known for red envelopes, which are filled with money. However, you don’t have to do this. In fact, there is another gift you can give that won’t cost you a fortune and will also help bring joy and fortune to those that you care about. This gift is mandarins or oranges. In Chinese culture, this fruit is said to bring luck, so gifting them during the holiday is bound to spread your fortune. Best of all, they are great for the whole family to snack on during the special occasion. You can do a lot with oranges too, including crafts or making your own scent oils and more. Like with most celebrations, food plays an important role in the holiday. This celebration is a great time to introduce children to traditional Chinese foods. One of the easiest options is to make dumplings with the family. This is a classic food served during the holiday and there are many easy recipes you can use if you’re a newcomer to the food. You can purchase other traditional foods from stores if you’re not up for the task of following recipes. However, most Chinese restaurants are affordable, especially if you’re just purchasing enough food to let everyone try out the dish. You might even find some great deals during this time. If you plan on eating a meal at a restaurant, then look for a buffet. This will help you get more food for your money while also allowing you try a larger variety of food. No matter the culture or celebration, there always seems to be lots of games to bring people together. There are many games that children love to play that you have probably already introduced to your children. Some examples of these games are dominoes, many card games and even chess. Of course, there are also traditional Chinese games that you can enjoy too. There’s lots of content to on these games, so you can try a new game for each night of the festival. You might also try singing some traditional songs, which you can also find in playlist online. These activities are designed to help families bond, which might make the festival an even more rewarding experience for everyone. Without a doubt, fireworks are a huge part of the Spring Festival. You can really have a blast with this activity too, without spending a fortune. If you have leftover fireworks from other holidays, then you might want to pull them out to set off for the big event. However, you can still have fun even if you don’t have any fireworks. You might consider going to a community event and watching their fireworks. This is particularly common in areas that have small Chinese communities. If you can’t find an activity in your area, then look online and watch a display from China. You can even check out an event from every big city in the country, which could help you learn more about the country. You can also make child friendly fireworks using craft supplies. All in all, the Chinese New Year can be a whole lot of fun for everyone in the family. These tips are mere suggestions to help you get more out of the holiday experience. With any luck, everyone in your family will have the time of their lives without forcing you to spend money. Since the holiday is long, you’ll have even more time to embrace many events to help you relax and look forward to the upcoming spring season.